Police in Grenada have confirmed that they have launched an investigation into a bogus marriage scheme involving male nationals of Middle Eastern nations and Grenadian women. “We are conducting an investigation and these notices are part of the process,” said an official at the Home Affairs Unit in the Ministry of National Security. Notices calling for at least six nationals with Middle Eastern names who acquired Grenadians Citizenship through it Citizenship Act were placed in a weekly newspaper calling on the persons to contact the Ministry of National Security. “You are therefore asked to contact the Ministry of National Security for further information in order to show cause on or before 31st March 2013 why the Minister of National Security should not exercise his right to do so,” said the notices which are addressed to Misters Zaher Diban, Manah Daoud, Layous Touma, Marwan Bou Ayta, Hosam Aboaytta and Armeen Mansour. Last week the Financial Intelligence Unit also issued a notice calling on twelve Grenadian women to contact the office immediately. Head of the FIU, Senneth Joseph said that the issuing of its release as well as notices in the paper are part of the same investigations. “These notices are interlink and its part of an investigation,” he said. None of the officials who confirmed that the investigation is center around a “marriage of convenient scheme” was willing to be quoted because they are not designated to speak to the press. One explained that these marriages involved the foreign nationals paying thousands to become the husbands of a Grenadians and then applying for Grenada’s citizenship with a view to obtaining a passport from Grenada. That passport were then use to obtain a visa for either the United States or Canada as well as travel to commonwealth nations. One official said that it appears that some of these women are also victims of identity theft because it is not clear if they willingly participated in the scheme or bogus documents were used with their names. Most of these marriage occurred in the early 2000s. In October eight members of the Syrian Community were accused of falsifying documents claiming to be married to nationals in an effort to obtain Grenadian Citizenship. The suspects – Khalil Kardoul, Jarek Kardough, Basel Algherbi, Toni Algherbi, Sulaiman Eskendati, Amer Zoghieb, Emad Jouma, and Nawar Mansour who operate businesses in St. George’s and Grenville – were taken into custody following a one-year investigation by members of the Financial Intelligence Unit (FIU). The FIU is accusing the men of lying to a government employee stating that they are married to local women as they sought to obtain a Grenadian Passport and qualifying them for citizenship status. 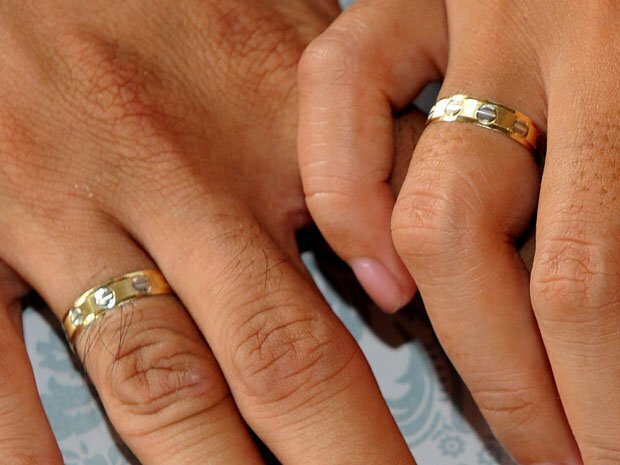 The illegal marriages scam is believed to have started in 2005.